As an alternative to conventional monitoring methods, our biologists are taking advantage of advances in technology and using tiny devices called Passive Integrated Transponders, or PIT tags, that allow us to identify and track individual coho salmon from their release as juveniles to their return as adults. 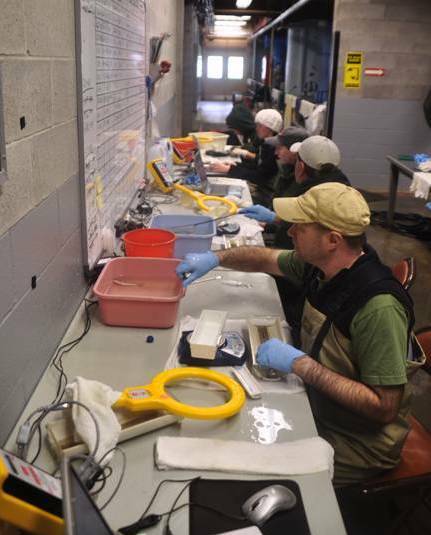 Prior to being released into streams, young coho are weighed, measured and PIT-tagged by our partners at the Don Clausen Fish Hatchery at Warm Springs Dam. Information about each fish, including age, size at release, and release stream and season, is recorded in association with their unique tag number. When a tagged fish passes by a transceiver's electrical field, the tag number and time are recorded on a reader in a weatherproof box on the adjacent stream bank. Each summer, biologists traverse study stream reaches using hand-held PIT-tag transceiver wands to count juvenile program fish, as part of our oversummer flow and survival study. 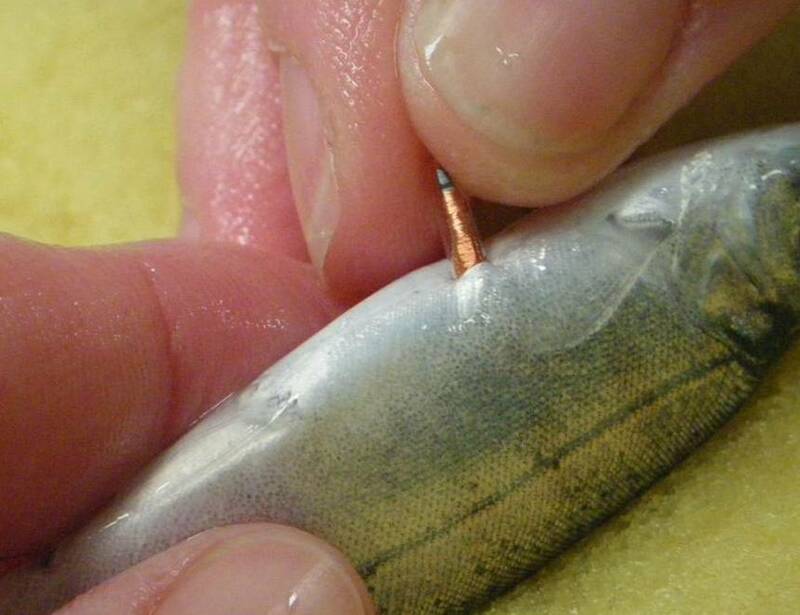 When coho smolts move downstream to the estuary and ocean in the spring, they pass through channel-spanning PIT-tag antennas. When they swim upstream to their spawning grounds as adults approximately 1.5 years later, these same antennas detect tagged fish. Using the ratio of tagged to untagged fish for each hatchery release group, we can calculate an estimated count that represents the actual adult population size. 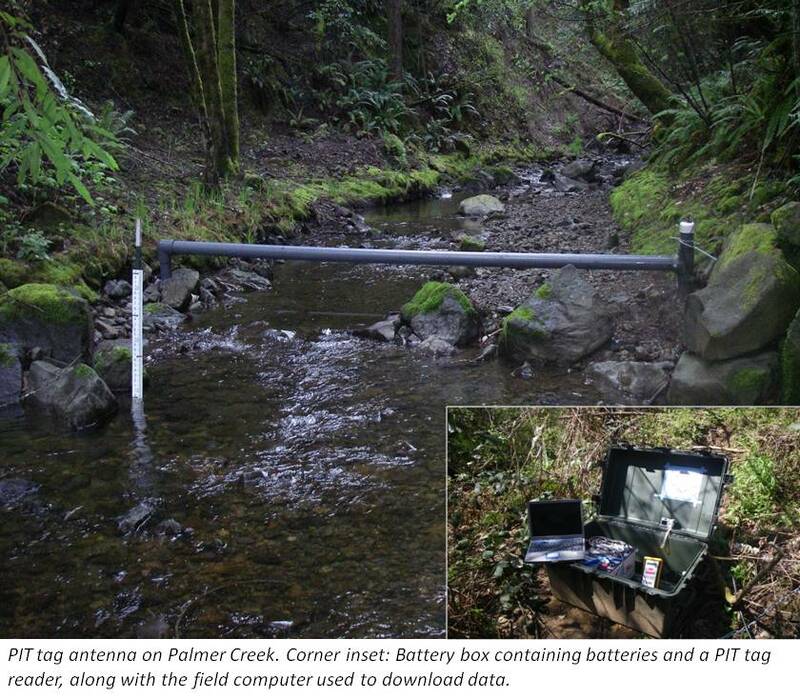 We operate PIT-tag antennas on several high-priority coho streams throughout the lower Russian River watershed and Sonoma Water also contributes data from their antenna sites on the mainstem and larger tributaries. PIT-tag technology generates invaluable data to support coho salmon abundance, survival and growth estimates, while reducing the impact caused to fish by conventional monitoring techniques. In addition, it is helping us to gain a much better understanding of fish movement patterns at all life stages.